Colombian founder and creator of the high-end and luxuriously sober Ballen Pellettiere brand, Ricardo Ballen was just 25 years of age when he boldly ventured into launching his own handbag label. 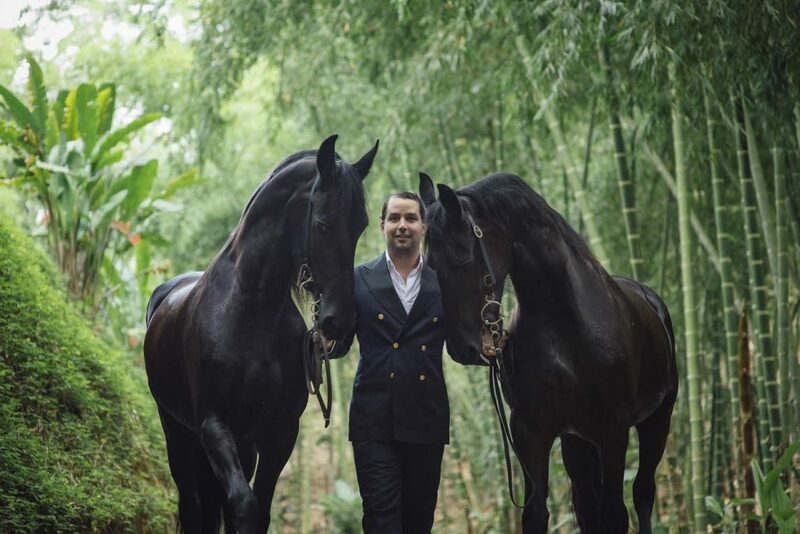 Although fashion was completely vacant in his life while growing up, Ballen spent his childhood years in a country villa that allowed for free-spirited contact with nature and horses. Undeniably his fondness for equestrian culture can be traced back to here. In fact, horse riding and horses are deeply rooted in his family. Both his mother and father were fervid horse riders and his eldest sister has even become world champion jumping at some point. In addition to this, his family possesses the most extensive collection of breeds in all of Colombia. Without doubt, horses are his biggest source of inspiration and a red thread all throughout his collections. As a true Jack-of-all-trades, he managed to combine his academic business background with his artistic inclinations and aesthetic sensibility in convoluted ways. Having completed a course in Product Design at Milan’s Instituto Europeo di Design and in Leather Goods and Pattern Making at the Milanese academy Arsutoria, whilst consequently taking up a position as creative director for one of Colombia’s major textile companies, he decided to take the entrepreneurial plunge to pursue his all time dream. And are we happy he dived in! His leather bags are infused with subtle equine influences that reveal a profound appreciation for simple and luxurious functionality. Blending practicality, sophisticated aesthetics and rustic country influences, Ballen Pellettiere seamlessly fuses local Colombian artisanality, delicate materials and industrial references with a versatile colour palette.The results speak for themselves: purses, handbags and saddlebags that brim with elegance and sophistication, albeit in a contemporary, edgy way!